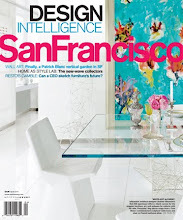 San Francisco interior designer Steven Volpe conquers the design world with style, grace, and cosmopolitan elegance. 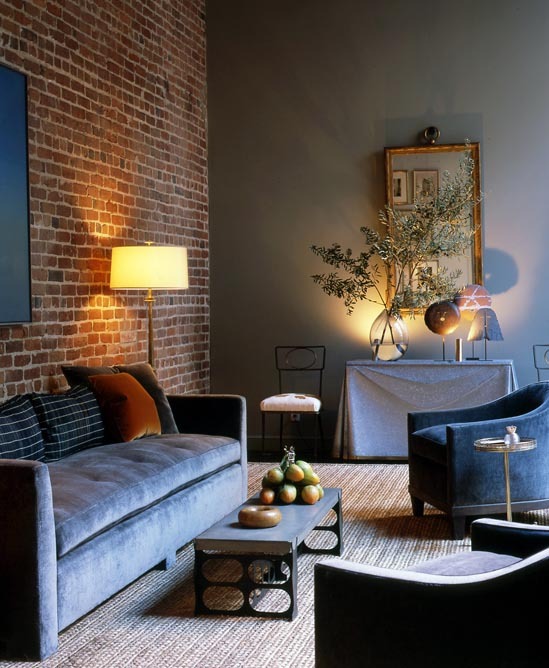 He’s often working in London, Paris, New York or Antwerp—but when he’s in San Francisco you would be fortunate to find him at home in his remarkable 1916 loft. Please join me for a visit. 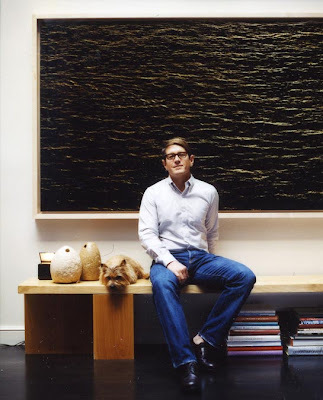 San Francisco interior designer Steven Volpe and his Norwich terrier, Harvey. In San Francisco’s hip South of Market, interior designer Steven Volpe transformed his loft with an elegant splash of tradition with a dash of twentieth-century daringFifteen years ago, San Francisco’s South of Market district was the object of desire for edgy artists, trend-sleuthing architects, and budding tech wizards but its gritty charms had not yet attracted chic young interior designers. 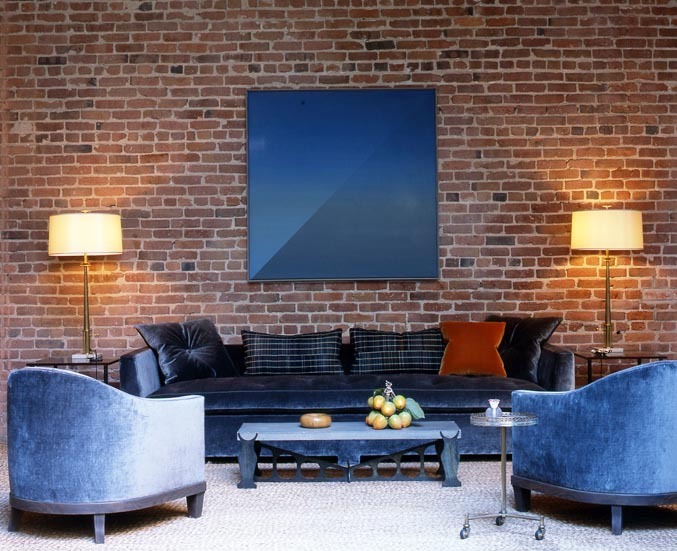 No wonder friends and clients were shocked when super-stylish designer Steven Volpe acquired a redwood-columned loft with soaring ceilings in a converted 1916 printing factory in the heart of South of Market. 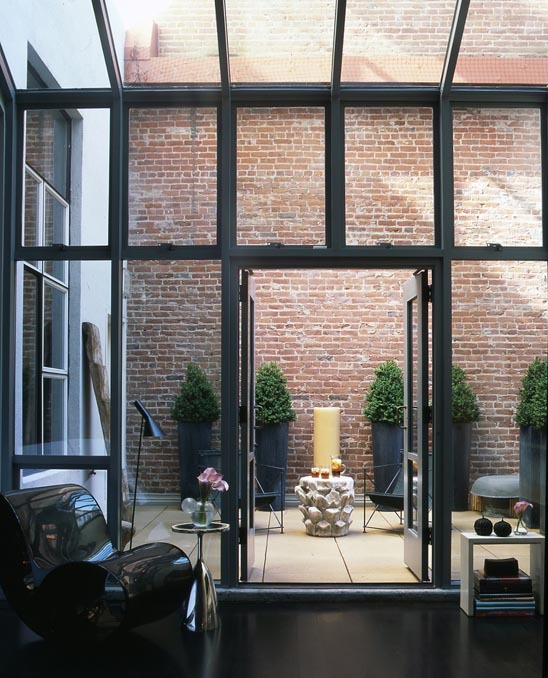 The moment he walked through the entrance and into his airy loft, Volpe knew he had to acquire it, said Volpe, the go-to designer for high-tech moguls, chic Londoners, under-the-radar A-listers, as well as the hip sons and daughters of San Francisco’s Old Guard families. 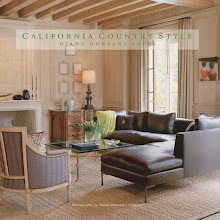 Volpe is a classicist who is passionate about Paris forties and thirties furniture designs. He studied classical design as an apprentice in Paris for two years and travels to the ends of the earth to his studies of classical architecture. 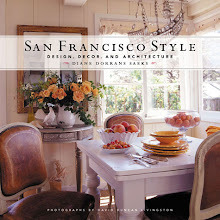 He trained in design as an assistant to legendary San Francisco decorator, Anthony Hail. 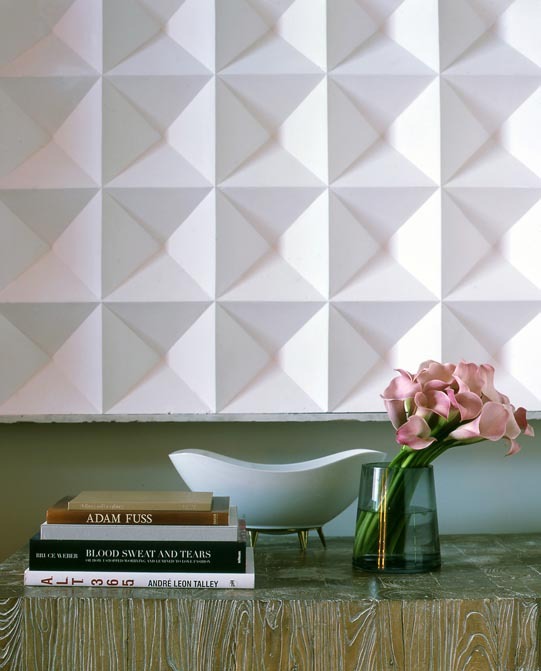 He founded his own design firm, Steven Volpe Design, Inc, in 1987. 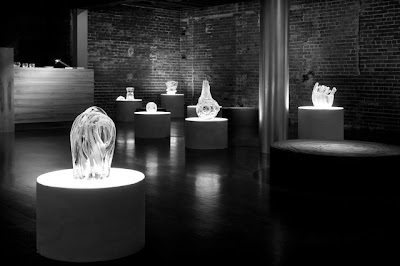 He now has a staff of eight in his Jackson Square studio, just around the corner from Hedge, the 20th-century furniture gallery, which Volpe and Roth Martin founded eight years ago. In a 1916 former printing factory, Steven Volpe has created a luxe refuge with a sofa and club chairs he designed for Hedge Editions, along with a quirky 1950s French concrete and steel cocktail table he found in Paris. 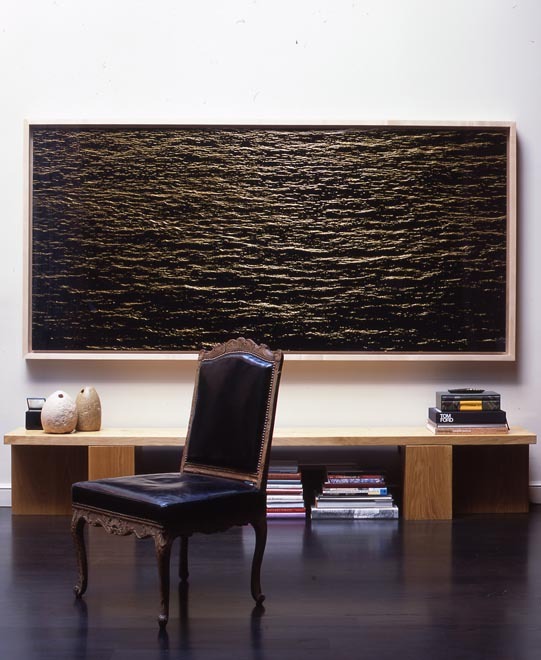 The painting, ‘Landscape-Les Talons’, by Jef Verheyen, is from Axel Vervoordt, Antwerp. A 1950s rolling gueridon in brass and mahogany was from antiques dealer Louis Bofferding, New York. 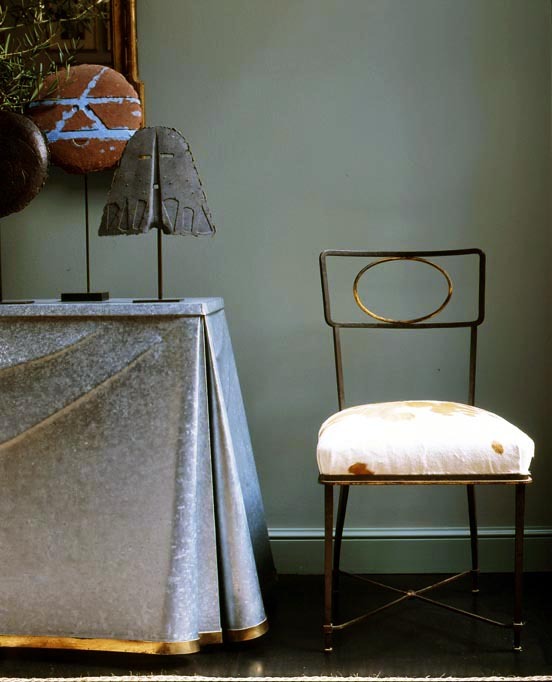 One of the trophies of Steven Volpe’s 20th-century furniture collection is a rare brass-trimmed galvanized metal skirted table designed in 1975 by John Dickinson. It was crafted by Metalcraft in San Francisco. 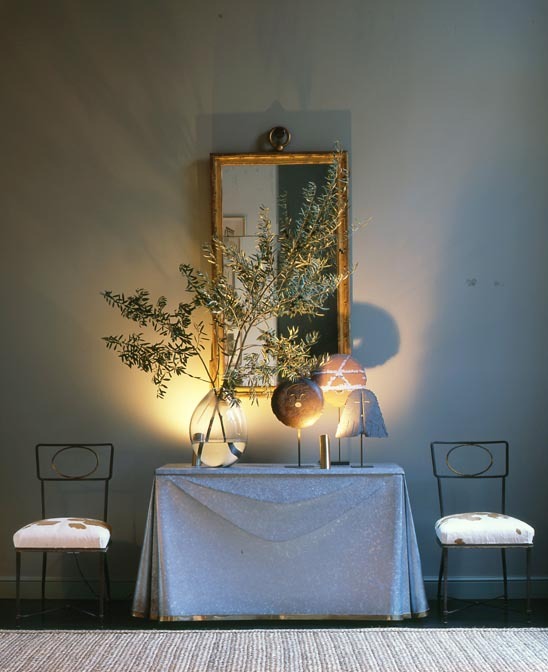 The table is juxtaposed with an 18th-century French gilded mirror, and a trio of contemporary masks by Robert Courtwright from Jean-Jacques Dutko Gallery in Paris. 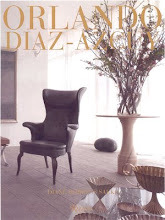 The pair of forties side chairs in gilded iron were designed by Gilbert Poillerat. The loft ceilings are eighteen-feet high, with eight heart-redwood support columns reaching from floor to ceiling. The timber had been milled at the turn of the century from massive centuries-old redwood trees. Heart redwood is the ancient central core of a tree trunk. “You simply would never see noble timber like that today,” said the designer. It’s illegal to log old-grown redwood. There is grandeur to the space, an elegance in the proportions, that belie the industrial origins of the building. Volpe recently completed a re-design of his loft, up-dating the décor, repainting the walls, refinishing the oak floors, and displaying his latest passion, important twentieth- and twenty-first-century furniture, art, and decorative objects by leading artists and designers. Among his latest treasures are a rare 1975 galvanized tin skirted table by John Dickinson, paper masks by Robert Courtwright, a sixties minimalist white plaster wall sculpture by Dutch artist Jan Schoonhoven, and a limited edition carbon-fiber chair by Ron Arad. A pair of turn-of-the-century Klismos chairs de-accessioned from the legendary French Villa Kerylos stands beside a 19th-century Chinese wood block table from March. One corner of the 2,100 square foot loft has been opened up with a conservatory window There is a grandeur to the space, an elegance to the proportions, that belie the industrial origins of the building. 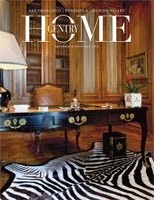 Volpe travels to London and Paris several times a year to find significant antiques for clients and for Hedge. 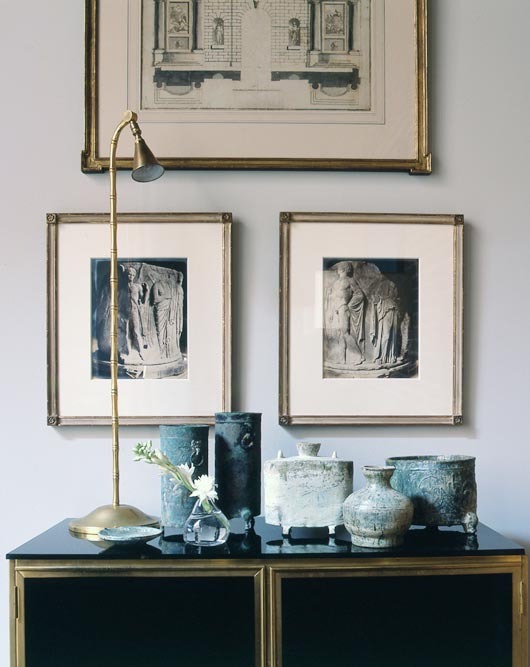 “At antiques dealers in London, Antwerp and Paris, I am drawn to mid-century European designers like Marc du Plantier, Bruno Romeda, Gilbert Poillerat, Andre Arbus, and the design firm Maison Jansen,” noted Volpe. “Their chairs and tables and desks have vestiges of classic proportions and shapes, but they’re brisk and modern and energetic. Parisian dealers offer sixties and even seventies designers as the hottest thing. But my eye and my taste is always moving forward, open to new ideas. I love the newness of 21st-century design and art with rare antiques. It’s a refreshing juxtaposition. Design can’t stand still. 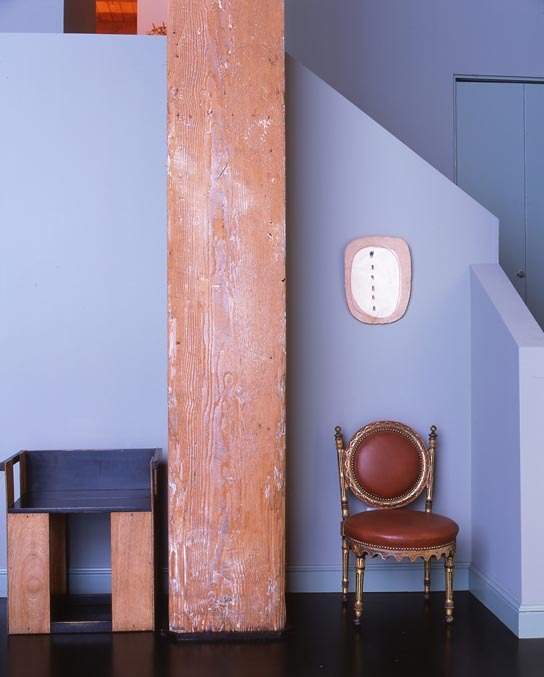 To cast an elegant background for his new collection, Volpe had the oak plank floor stained a rich, deep espresso tone, and painted the plaster walls in pale grey shades by Farrow & Ball. 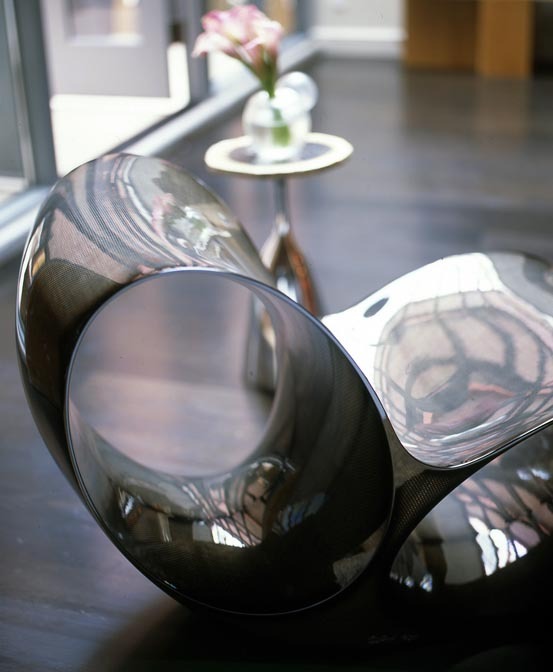 Ron Arad’s Oh Void chair, signed and numbered 6 from an edition of only 20, was crafted in carbon fiber. 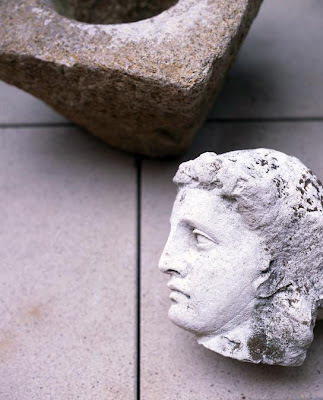 A French carved limestone statue fragment on the terrace. A white plaster sculpture by Dutch artist Jan Schoonhoven (1914-1994) hovers above a 19th-century wood block table, both from March. Schoonhoven was a member of the Nul Group of artists, who sought to create clarity and purity of expression, without sentimentality. The South of Market loft, today’s version, is all about the delicacy of his swirling Ron Arad chair, and its counterpoint of modernist oak benches. Volpe has the daring to poise a chunky Robert Mallet Stevens chair near a carved and gilded 19th-century American chair and a Futurist wall plaque by Lucio Fontana. Volpe’s new mix includes cross-century collections of carved Regence chairs, Baktrian stone idols from 2,000 BC, a pair of forties table lamps by T.H. Robsjohn-Gibbings, and a fifties rolling gueridon. “I want to discover design with fine craftsmanship before everyone else jumps on it,” said Volpe, who recently opened a Paris office with a close-up view of the Eiffel Tower. Working in San Francisco and in Paris, and buying from antiques dealers and art galleries in New York, France, and Belgium, informs his design perspective. Volpe lives with forties Poillerat chairs, thirties Russian Constructivist chairs, and a 2003 chromogenic photograph by Richard Misrach. 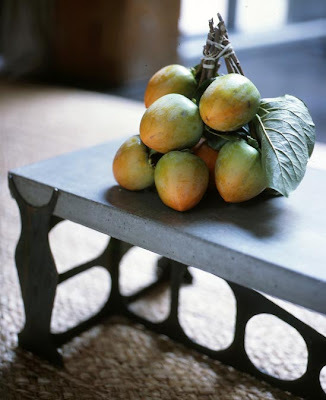 A bunch of persimmons from the flower market on a concrete and sculpted metal table, which Volpe found in Paris. 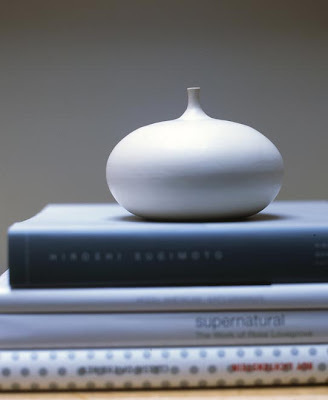 A small Finnish ceramic from the sixties stands on a pedestal of books. San Francisco interior designer Steven Volpe, wearing his signature Thom Browne jacket, and classic John Lobb loafers, takes us on a whirlwind tour of his favorite San Francisco design shops and galleries. 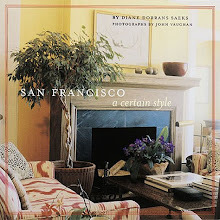 “San Francisco has some of the most inspiring and original style stores and art galleries in the world,” said Steven Volpe, just back from fast-paced buying trips to Antwerp, Paris, London, Los Angeles and New York in search of antiques, paintings, fabrics and furniture for his clients. “I especially admire shops such as Bell’occhio and March, whose owners have a defined aesthetic with a dash of eccentricity. I appreciate their knowledge and focus.” Since Volpe founded his company, Steven Volpe Design, more than 20 years ago he has attracted San Francisco’s ultra-private old guard, as well as tech entrepreneurs and chic young social-set couples. 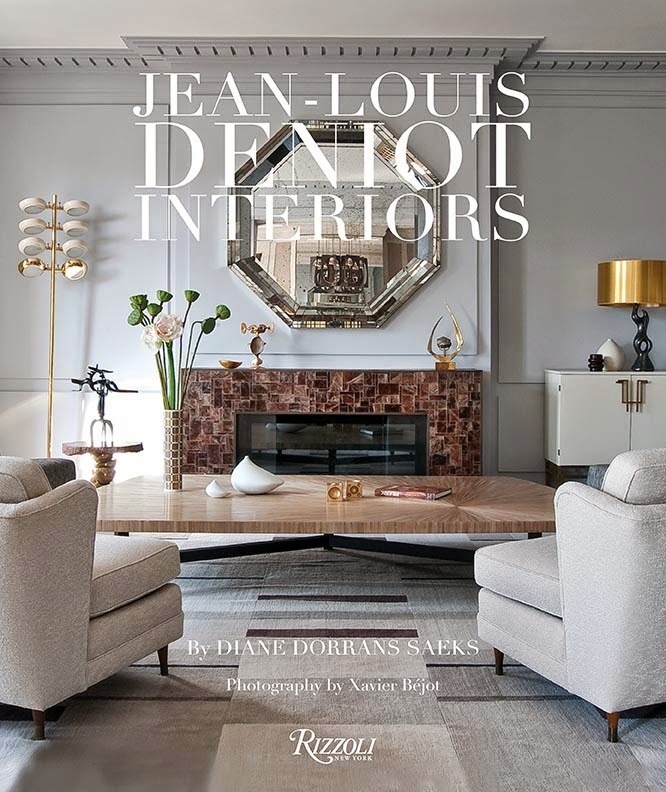 In Paris and in San Francisco, the designer’s eye alights on the most rarified antiques, as well as dramatic paintings and fine photography. 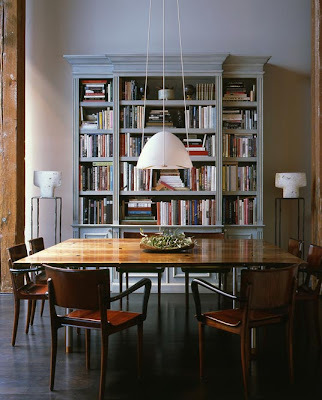 “The best rooms balance great art with carefully selected, singular furniture,” Volpe said. 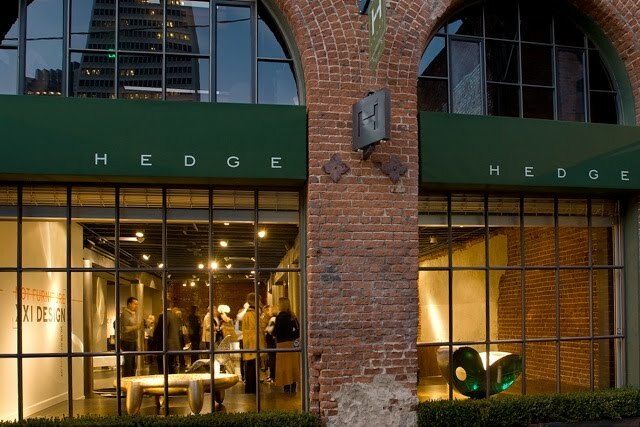 Hedge Steven Volpe and Roth Martin founded Hedge Gallery (48 Gold Street, 415-433-2233, www.hedgegallery.com) specializing in 20th-century furniture and decorative pieces by European and American designers and architects such as Jean Prouve, Poul Kjaerholm, Andre Arbus, Maison Jansen, T.H. Robsjohn-Gibbings, and Jean Royere. 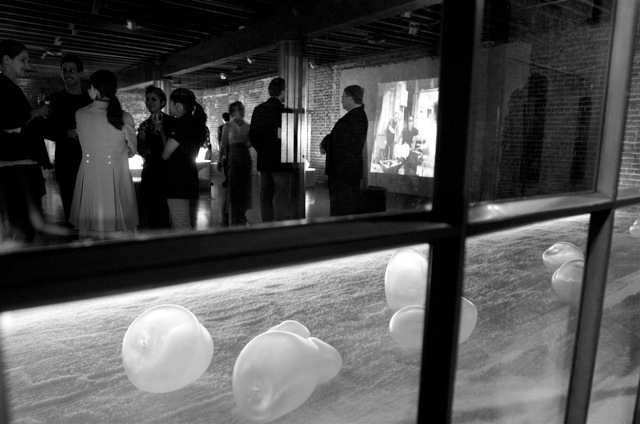 A recent exhibit focused on luxe jewelery designs by French artist Line Vautrin. 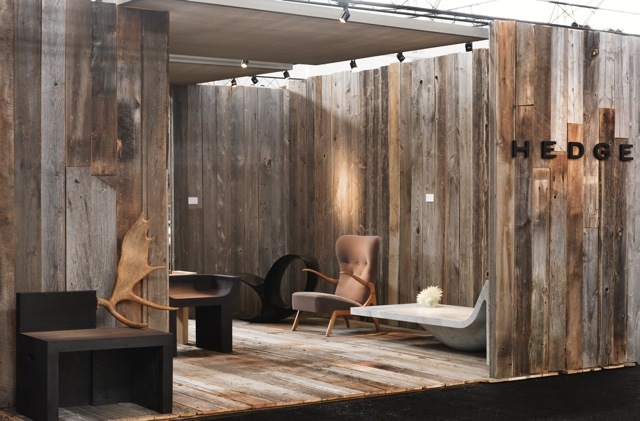 “We’re always traveling to fine unusual and rare thirties-to-seventies furniture in a range of styles, that work in both modern and classic interiors,” said Volpe. Kathleen Taylor–The Lotus Collection “Unique antique textiles and tapestries with elegance and charm give individuality to interiors,” said Steven Volpe, who often visits Kathleen Taylor-The Lotus Collection (445 Jackson Street, 415-3989-8115, www.ktaylor-lotus.com) is search of nineteenth-century embroidered French silks and refined Asian textiles. “I recently found a length of rare twenties Fortuny fabric,” said Volpe, who had the treasure made into pillows. 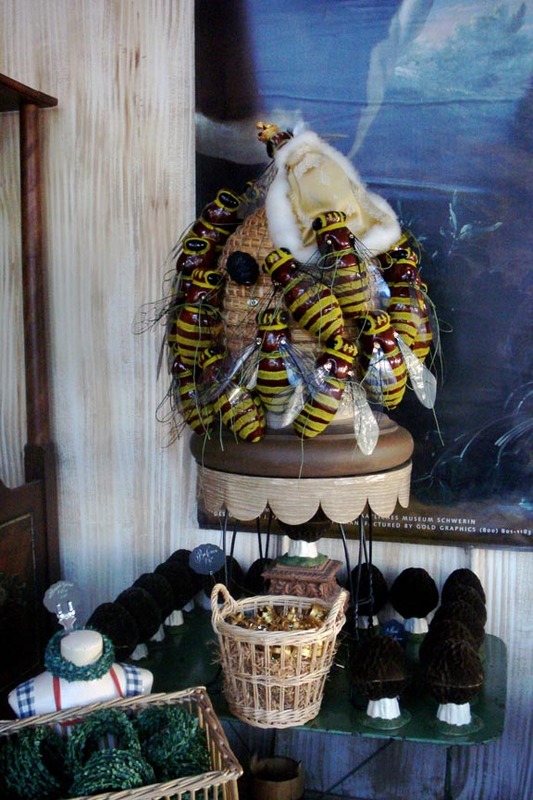 Also among Kathleen Taylor’s impeccable tissue-wrapped trophies: Chinese embroideries, English needlepoint, African textiles, and lavish silver-thread embellished Italian wall hangings. Bell’Occhio Hidden away in a secret corner of the city near the fabled Zuni Café, Bell’occhio (8 Brady Street, 415-864-4048, www.bellocchio.com) displays a captivating collection of witty French and Italian delights, including Parisian toiletries and stationery, elegant French chocolates, and a perfume by Marie-Antoinette’s perfumer. Wafts of heady Santa Maria Novella pot pourri fill the air. “I’ve used Bell’occhio antique silk velvet ribbons as custom passementerie trim for curtains,” said Volpe, who loves the quirky colors of the shop’s irresistible ribbons. Chartreuse, anyone? 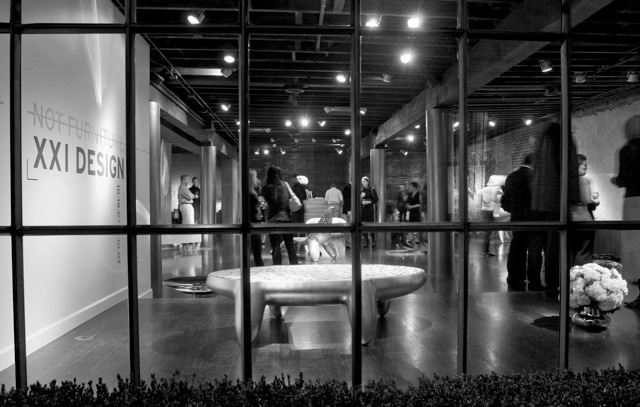 March Since March gallery opened, it has become an essential stop for interior designers from around the country in search of their rather austere antique furniture, and ever-changing displays of large-scale ceramics and eccentric decorative objects. “March has such a stylish, focused aesthetic,” noted Volpe. It’s all quite monochromatic, and colors seldom veer from taupe, ivory or moss green. Volpe’s recent virtuoso find: a pair of fifties neoclassical French steel bibliotheques with glass doors. So chic. Sacramento Street, near Broderick and Pierce Sts, San Francisco. John Berggruen Gallery Volpe encourages his clients to acquire notable art. 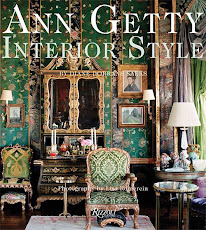 “I’d rather have one great painting and just a few wonderful antiques than lots of so-so furniture,” said Volpe. He heads for the John Berggruen Gallery (228 Grant Avenue, 415-781-4629, www.johnberggruengallery.com) to encounter works by artists such as Agnes Martin, Brice Marden, Jim Dine, Henri Matisse, Squeak Carnwath, and Lucian Freud. 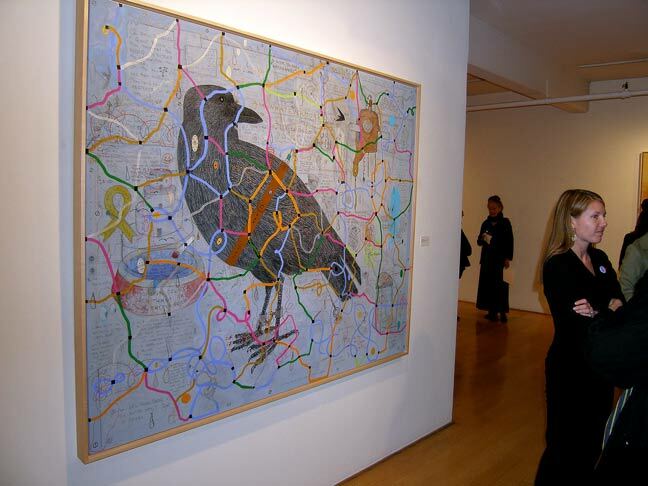 “John is a long-time art world insider, and he has a great eye” said Volpe. 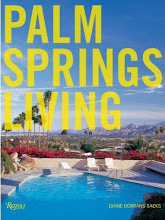 “He and his wife, Gretchen, guide both experienced and beginning art collectors in their acquisitions." Jeffrey Fraenkel Gallery Jeffrey Fraenkel was a visionary and a pioneer when he opened his fine photography gallery almost two decades ago. 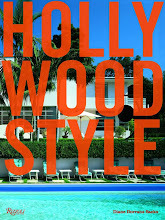 “Jeffrey’s superb taste and his discernment have made him a highly influential taste-maker for photography collectors, museums, and auction houses.” Fraenkel Gallery (49 Geary Blvd, 415-981-2661, www.fraenkelgallery.com) presents the most admired works by twentieth-century masters, as well as quirky anonymous photography from the nineteenth century. 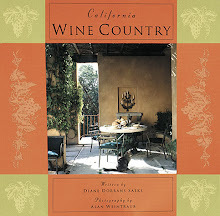 Artists include Diane Arbus, Adam Fuss, Richard Avedon, Nan Goldin, Irving Penn, R.E. Meatyard, and Man Ray. Hedge at the 2009 San Francisco Fall Antiques Show at Fort Mason. 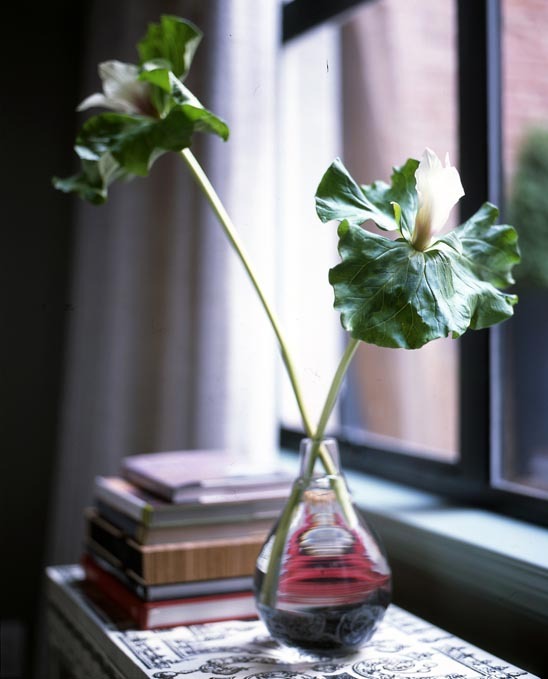 The photographer of Steven Volpe’s loft is Lisa Romerien, who often photographs for C magazine, and is a favorite photographer of Michael S. Smith. 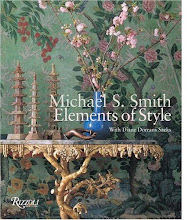 Lisa was the principal photographer of ‘Michael S. Smith Elements of Style’ (Rizzoli), which I wrote with Michael. Seattle-born photographer Lisa Romerein lives in Santa Monica, California, where she specializes in food, travel, architecture, interiors, gardens, portraits and lifestyle features for a client list that includes: C magazine, Rizzoli, Casa del Mar, Chateau Sureau, Clarkson Potter, House Beautiful, Los Angeles, Kallista/Kohler, Martha Stewart Living, Meadowood, More, Coastal Living, Santa Barbara Magazine, Shutters on the Beach, Sunset, Town and Country and Vanity Fair. 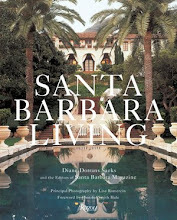 Her photographs have appeared in numerous books, among them, the cookbook Small Bites, Big Nights, a collaboration with Chef Govind Armstrong, and Santa Barbara Living, and Michael S. Smith Elements of Style. She recently traveled to Japan to photograph historic gardens and interiors. Hello my dear, the sculptor Henry Moore would approve of Steven Volpe's designs in his interior. Here you have nicely balanced geometric forms, the use of round shapes in contrast with long, rectangular and square segements which heighten a visual harmony and purity. How enchanting to see a perfectly composed photograph of a mirror, a collection of sculptures (very African in taste..remind me of Freud's sculptures on his desk) and rustic branches from a tree spring out from a vase on the table. Such an interesting profile on Steven Volpe...his work, his taste,his travels....and the store Hedge looks so inviting. I, unfortunately does not go to San Fransisco often, but your post just inspired me to plan a long week end and explore. SF has been on my travel list for a while - and now I really can't delay it any more. 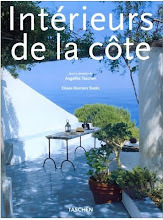 This is a wonderful guide - thank you! P.S. I really enjoyed finding your blog. I'm a new follower!